approach to live a smoke-free lifestyle. Quit For You takes a personalized wellness approach to quitting smoking that is unlike any other smoking cessation program available. Its unmatched level of one-on-one communication with our specially trained pharmacist is what sets this program apart from the rest. It focuses on the positive change quitting smoking will have on you and the lives of all the people you’re quitting for. Your Rite Aid Pharmacist will help you every step of the way. Your path to quit smoking will begin with a one-on-one consultation with a specially trained Rite Aid Pharmacist. 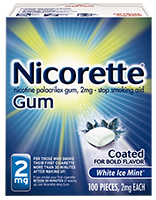 During this consultation you will receive a personalized quit plan and starter tools. Your pharmacist will act as a quit coach and lifeline – ready to assist you based on your needs and assessment. What will you do now that you don’t? Think of all the great things you can do now that you’ve decided to quit. Our Quit For You program focuses on the positive change quitting smoking will have on you and the lives of all the people you’re quitting for. Schedule a one-on-one consultation and take your personal assessment with a specially trained Rite Aid Pharmacist to join. 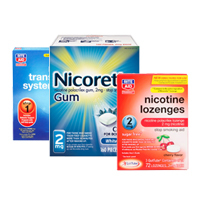 Save up to $50 in non-prescription NRT purchases. Earn up to 25 wellness+ points for every prescription filled - including those for smoking cessation. If you're looking for an option outside of nicotine replacement therapy, talk to your doctor or pharmacist about Rx treatments. 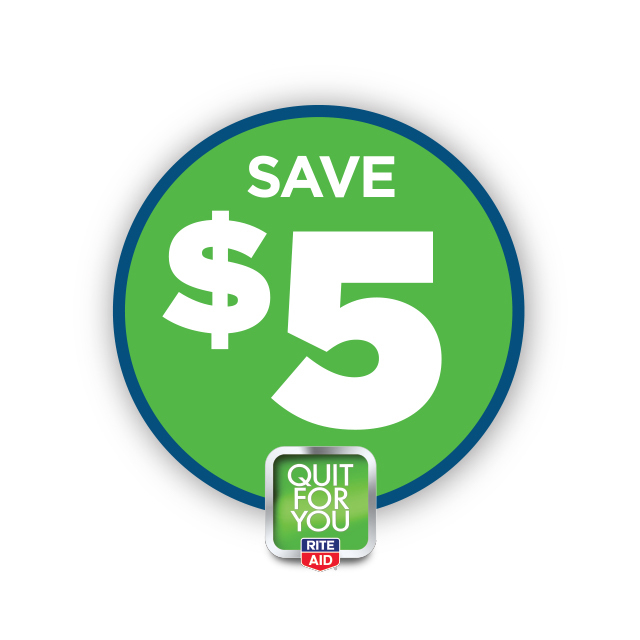 Quit today and save $5! Stay on track with help from these tools filled with information to help you along your quit journey. It’s not just a physical cost—smoking can be a burden financially, too. Calculate what you can save when you quit. How many cigarettes do you usually smoke a day? How many cigarettes come in one of your packs? 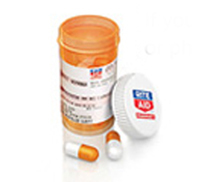 Your Rite Aid pharmacist is an excellent resource when you’re going through the Quit For You program. But, if you are looking for additional support around the clock, try these free hotlines. The National Cancer Institute’s trained counselors are available to provide information and help with quitting in English or Spanish, Monday through Friday, 8:00 a.m. to 8:00 p.m. Eastern Time. Calling this toll-free number will connect you directly to your state quitline. All states have quitlines in place with trained coaches who provide information and help with quitting. Specific services and hours of operation vary from state to state. The content is provided by GSK Consumer Healthcare. The products featured in this tool are not endorsed by Rite Aid or its staff. 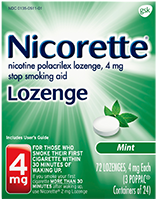 Find the right Nicotine Replacement product for you. More tips, tools, and advice are in the Quit For You packet. Download it here for help on your quitting journey. We all know smoking tobacco poses serious health risks. But what some people don’t know is that smoking can make certain health issues caused by diabetes worse or cause them to deteriorate faster. When you have diabetes, smoking makes it harder to manage your blood glucose. Quitting smoking may help keep diabetes under control. It also reduces your risk for heart disease, stroke, lung disease and several types of cancer. Many smokers say they haven’t quit because cigarettes help them handle their moods. Yet it turns out that quitting smoking may actually work better for that. When you have diabetes, you’ve got an extra reason not to smoke. Besides increasing your risk for heart disease, lung disease and cancer, smoking also makes it harder to control diabetes. If you’re a smoker, breaking that habit is the best thing you can do for your health. But a big behavior change, such as stopping smoking, doesn't happen overnight. You’ll go through several stages on the way to quitting for good. Here’s how to tell which stage you’re in and what to do to move forward. 1. Maximum product savings are based on calendar year. 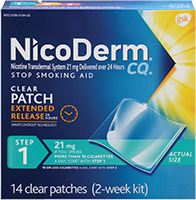 $50 value delivered in $10 coupons at the register following each of five consecutive qualifying non-prescription nicotine replacement product purchases. Coupons becomes valid one week after purchase and then will be good for two weeks.